The 22nd Asian Athletics Championships 2017 is the biggest sporting event being held in Odisha. As many as 815 athletes from 45 countries will be participating in various events. It is a pride for both Odisha and Odia people that this mega sports event is being organized for the first time in Odisha. 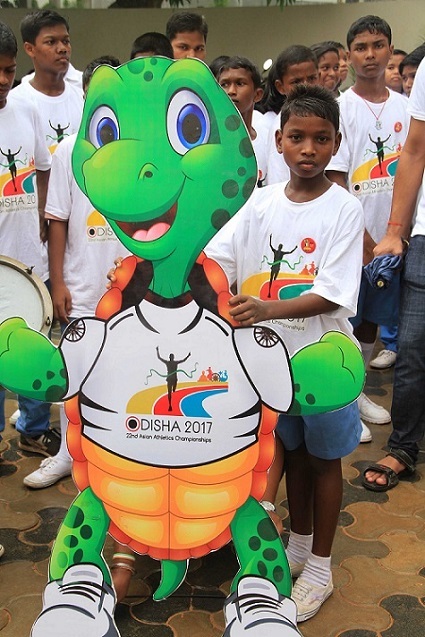 Many Odia athletes are also participating in this mega event. It is a chance for the Odia athletes. “KIIT and Kalinga Institute of Social Sciences (KISS) has announced to reward the athletes from Odisha who manage to win medal in the 22nd Asian Athletics Championships 2017 commencing in Bhubaneswar from July 5, 2017. Odia athletes winning Gold, Silver and Bronze medal will be given cash incentive of Rs. 3 lakh, Rs. 2 lakh and 1.5 lakh respectively,” said Dr. Achyuta Samanta, Founder, KIIT & KISS. Kalinga Institute of Industrial Technology (KIIT), founded by Dr. Achyuta Samanta, is a multi-disciplinary university with current student strength of 25,000 from all corners of India and around 22 countries creating a mini metropolis. KIIT sprawls over 25 sq.km area with one million square meters of aesthetically built up area. There are 28 constituent schools, contiguously located in impeccably landscaped and modern-technology enabled campuses offering graduate, post graduate, doctoral and post doctoral programmes in a wide range of disciplines. The institute’s solemn academic ambiance has led to grant of A category status to it by the Ministry of HRD, Govt of India. The university is not only accredited by NAAC in UGC but is amongst the few in India to receive a Tier 1 (Washington Accord) accreditation by NBA of AICTE for engineering streams.